A beautiful Sterling Silver Plated chain looped through Infinity with a charm to commemorate the one you loved and lost. The chains are available in Sterling Silver Plated Chain or .925 Pure Silver – Rhodium Plated Chain. For a more personal necklace please see the engraved version. 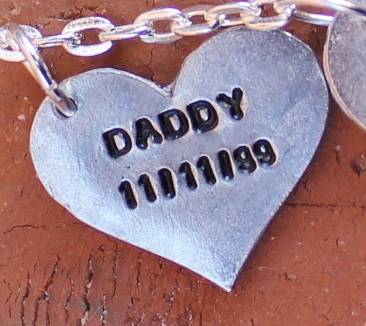 Add a Custom Stamped Heart Charm with the name of your loved one. Click the button below to add the "A piece of my heart is in Heaven" Infinity Necklace to your wish list.